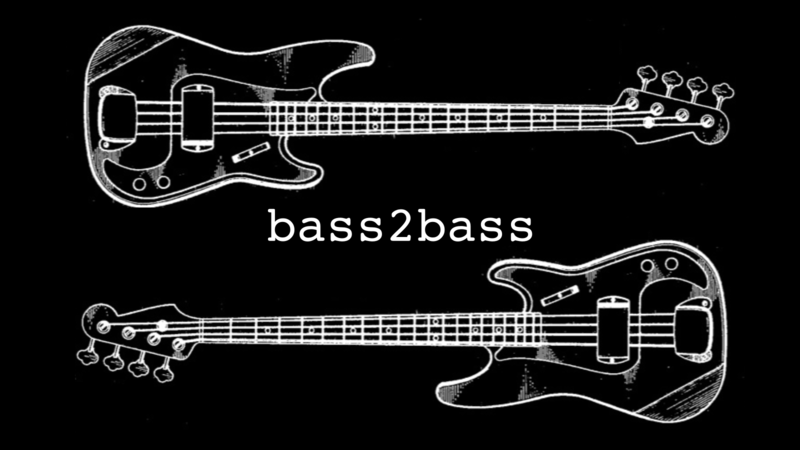 Bass2Bass is an electric bass duo comprised of SoCal bassist/composers Scott Worthington and Michelle Lou. Seeing a dearth in new music written for the instrument, the duo decided to form in 2016 and commission new pieces that feature the expressive range of the electric bass in contemporary music. Their inaugural west coast tour presents three new works by composer/performers Sabrina Schroeder, Weston Olencki and Scott Worthington. Originally from west coast Canada, Sabrina Schroder writes music for mixed ensembles, often using modified transducers and self-built mechanisms as integrated instruments in live performance. She’s been an active member of composer-performer collectives presenting scored and improvised music, a back-up band coordinator for teens in mental health housing, and has taught courses in Sound and Media Art at Rensselaer Polytechnic Institute in Troy, New York. Schroeder completed a BMus at the University of Victoria, an MA at Wesleyan with Alvin Lucier and Anthony Braxton; and a PhD in composition from Harvard University. She is currently based in Manchester, U.K.
Weston Olencki is a trombonist and composer specializing in the performance and production of new music and sound art. His work in performance is primarily concerned with hyper-extended instrumental technique, intensive performer-composer collaboration, object-oriented performance, feedback and noise, and continued fostering of artistic communities. Compositional concerns include digital native culture, glitch aesthetics, ties with visual and conceptual practices, and technologically-enhanced virtuosity. Weston is a member of Ensemble Pamplemousse and one half of RAGE THORMBONES [alongside Matt Barbier]. He was awarded the Kranichsteiner Musikpreis from the Darmstadt Ferienkurse, and has held residencies at UC Santa Cruz, Harvard, New York, and Stanford Universities. He lives in New York City. Scott Worthington is a double bassist and composer based in Los Angeles. As a performer, he plays in chamber ensembles, orchestras, recording studios, and as a soloist. His focus on contemporary music frequently leads to commissions and premieres of new works for solo bass. As a composer, Worthington often uses electronics and non-standard ensembles. He strives to write music that evokes a timeless, meditative state with spacious and resonant sounds. He has released two albums on Populist Records, most recently Prism, which was named one of The New Yorker’s top ten classical albums of 2015 by Alex Ross. Some highlights in the 2016-17 season include a performance on the Los Angeles Philharmonic’s marathon event Noon to Midnight, a west coast tour with composer/bassist Michelle Lou, and a solo recital at UC Santa Barbara.